I’ve had the bug to get back over to the Long Valley Caldera along the eastern Sierra region since I drove through the area a few years ago. On that day, it was a cool June morning. I was heading North on US 395, eastern Sierra on the left, and over to the right I noticed what looked like a column of steam rising off in the distance. Although I needed to get where I was going, I couldn’t resist and detoured toward the rising vapor. It turned out to be the Hot Creek Geologic Site, a modest creek on the valley floor garnished with geothermal vents of steaming water, a hint at the tectonic forces roiling just under my boots. For a low grade rock nut like myself, this qualified as a bucket-list find. Mindful of my time, I took some pix and moved on. Continuing north on US395 I went a few miles and saw one of the brown national park-like signs that said ‘Panum Crater’. Crater? I mean, steam vents are one thing, but craters? Completely irresistible. I got un-mindful of my time real quick and made a detour to the lump of rocks off in the distance. On arrival I was presented with a hundred acres of sharp rocks, some of it shiny black obsidian, in a big pile about 4 stories high. Seeing the thousands of pieces of glossy black glass shining in the clear sunlight left a permanent impression in my brain. But I had to get back on the road determined to return with a better camera and more time. It’s now a few years later, and I have a better camera and more time. 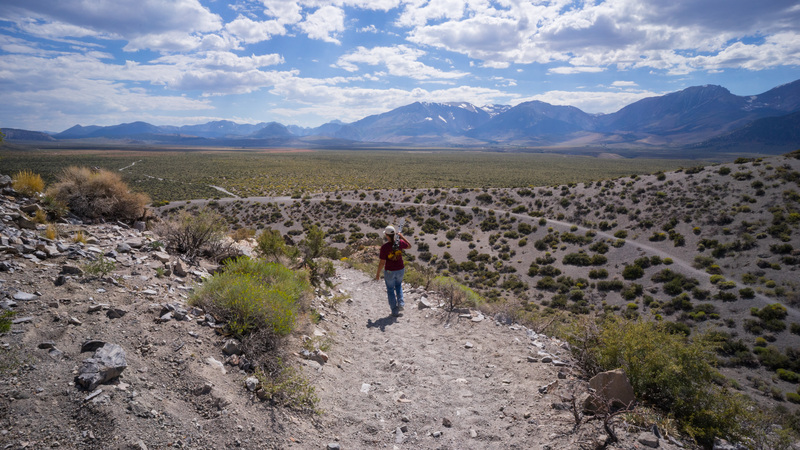 After a few days at Mammoth Mountain, Susie and I headed out with two stops in mind: A first visit to Obsidian Dome and a return to Panum Crater. Obsidian Dome is one of a series of tectonic fixtures that make up the 25 mile long Mono-Inyo Craters volcanic chain and is part of the Long Valley Caldera system. The USGS has a series of detailed data sheets and field guides about the area which I highly recommend reading before you visit as it will make the experience more meaningful. As we got out of the car at the trailhead we were struck by the proximity of the rock debris to the surrounding forest. It’s like the sun came up one day and this huge pile of rock just burped up out of the ground, like some kind of a basalt landfill. It looks as if it happened just yesterday. Actually, this dome erupted in 1350 AD, which in geologic time, was just yesterday. As we took an easy trek up the trail, the scenery becomes a little otherworldly. Anything growing and green gives way to an almost lunar landscape of basaltic rock of tans and grays, occasionally interrupted with veins of shiny black obsidian. The real experience here isn’t the largely monotoned rubble scenery, which frankly gets old pretty quick. The real experience is grasping the idea that your boots are standing on rocks that were thrust to the surface by forces of almost planetary strength, the collision of tectonic plates, that are still shaping the region today. 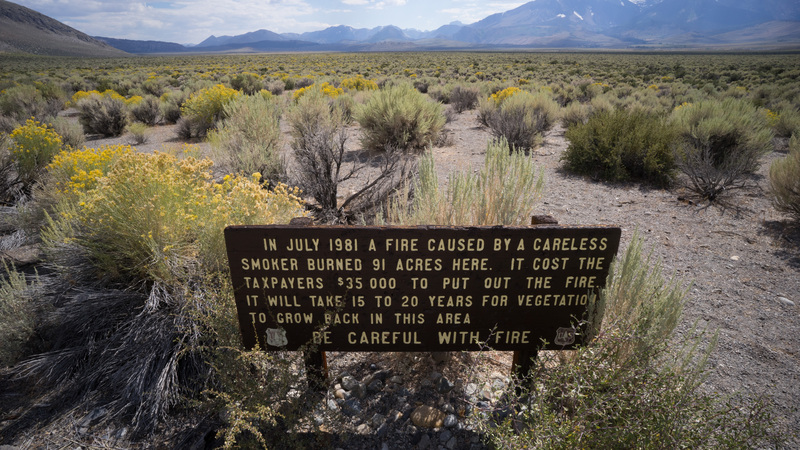 Cinder cones, steam vents, earthquake swarms and even CO2 gas emissions that are slowly killing nearby forests; it’s all happening just under your feet. 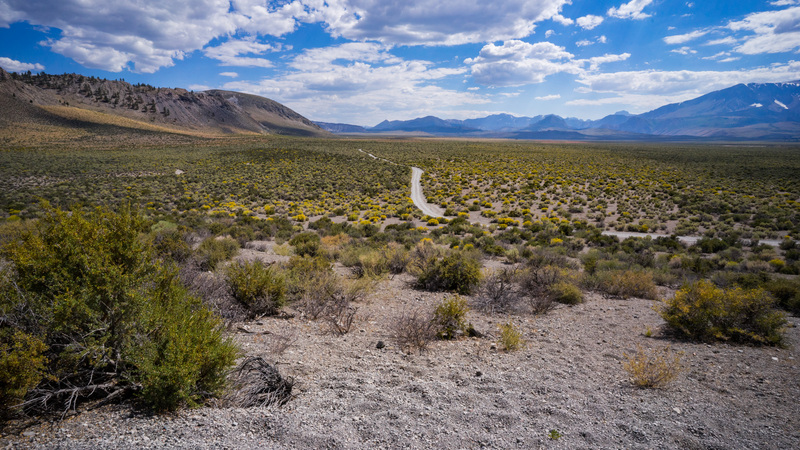 We were thinking about hiking to the top of the dome, but it wasn’t that well marked and so after about 45 minutes we returned to the car and continued a little further North on Hwy 395 for the real reason to be here; my return to Panum Crater. Panum doesn’t look like much more than a small mountain of rocks as you approach across the flat valley floor. But once you hike up the trail to the rim and see the dome centered in its cinder cone of loose rock, you realize this is the real deal. The crater complex is near the northern end of the same volcanic chain as the Obsidian Dome feature; the chain ends (for now) in the middle of Mono Lake at the Paoha Island cone. Panum, where we’re hiking, erupted about 650 years ago; Paoha Island formed just about 300 years ago. The trail takes you over the outer rim, into the bowl and then up onto the dome. Along the way you’ll generally see either pumice, which is rock that was infused with gas as it cooled and left it full of holes, or obsidian, magma that cooled without any gas (and therefore has no holes) in it. Because the pumice is full of holes, it’s very light. The obsidian is much more dense, has sharp edges like glass and, also like glass, shines in the sunlight. 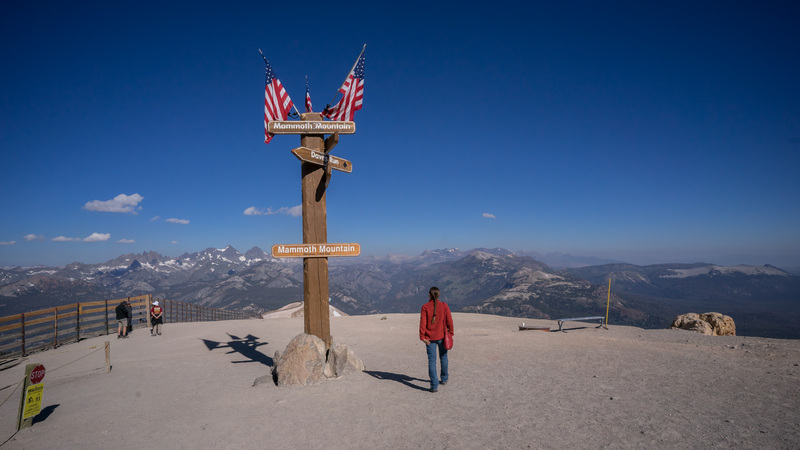 Climbing to the top of the north rim gives you a view of the dome inside, and views of Mono Lake, the valley floor and the eastern Sierra. One thing that twists your mind a little bit is that the base of Panum Crater sits at a little over 7,000 feet. That puts the entire complex and the surrounding valley floor higher than all of the Appalachian Mountains in the eastern US. 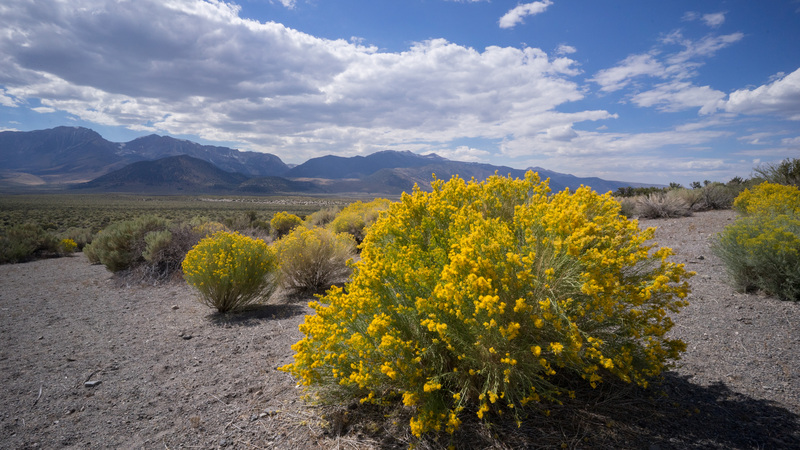 As I’m writing this and doing a little research, it’s obvious that there is so much more to see in the Long Valley Caldera and Mono-Inyo Crater systems. If you’re interested in this kind of geology and natural history, think about taking at least a few days to visit and fully absorb what is here. There is a wealth of documentation available and it seems that many of these features are readily accessible. Do your homework before you arrive and you’ll be rewarded with a first person experience to satisfy that grinding, rock-nut urge to see it all. 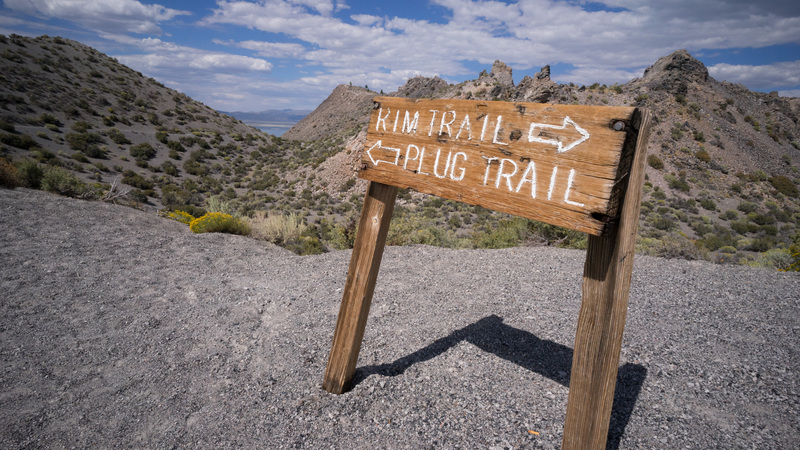 Fitness factor: (+) You can drive to the trailheads and driving in this area is really quite a beautiful experience. These sites both have a 3 staircase rating: if 3 flights of stairs gives you trouble, access to locations in the photos might be a little difficult. You’re responsible for your own suitability and safety at these locations. Kid factor: (+) Plenty of cool things to see, rock-wise; plenty of fresh air and small places to explore. I’d combine these locations with a visit to some of the hot springs in the area. (-) Wear some sunscreen as it’s bright out here at this altitude; like any pile of sharp rocks, a fall could be bad. Also, not too sure what could be under some rocks on a hot summer day, like snakes.